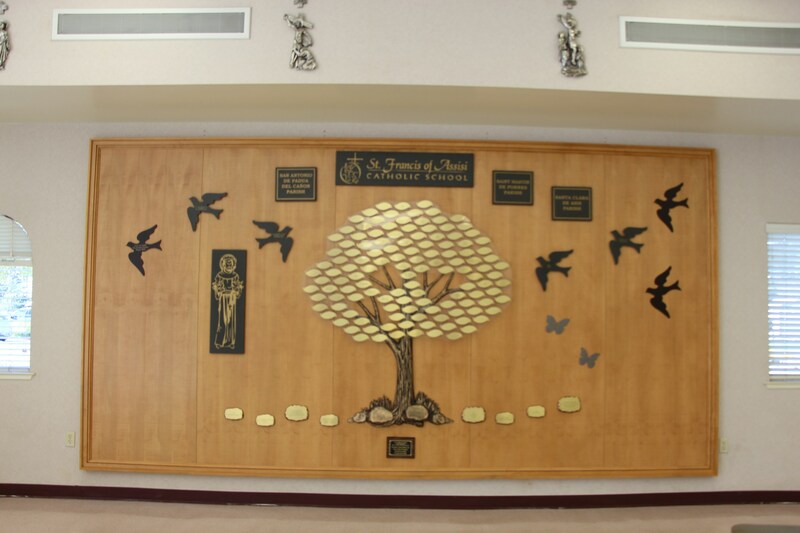 Just as a strong, deeply rooted tree becomes a living resource for others, St. Francis of Assisi Catholic School is a living resource for families, providing its students with an exceptional foundation for life. Located in the Fr. 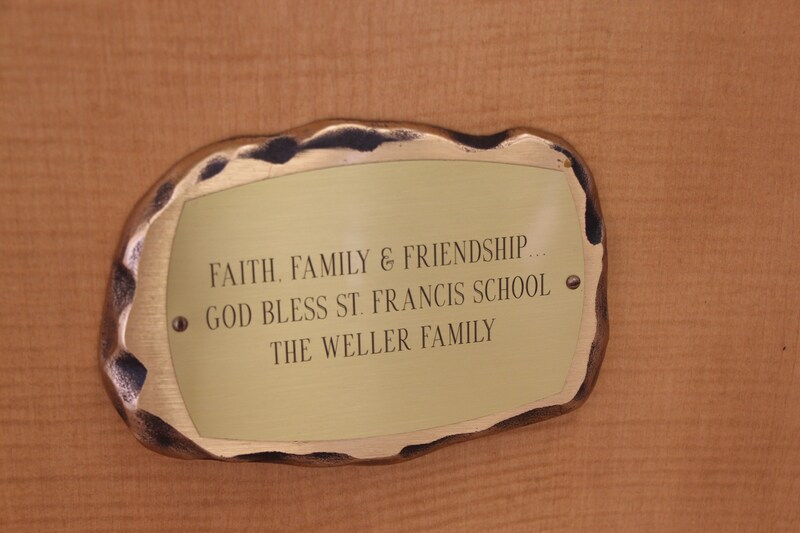 Seamus Glynn Center on the St. Francis of Assisi campus, the Legacy Tree stands as a testament to the generosity and dedication of our school supporters. 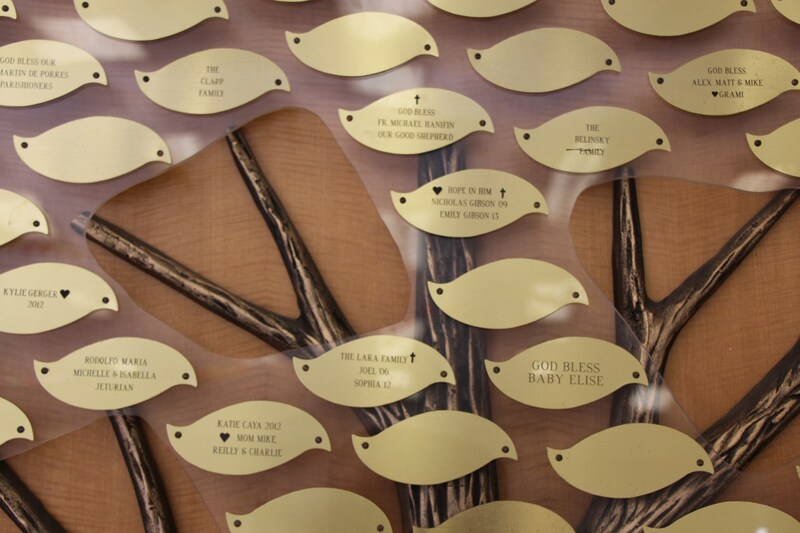 Each element of the donor tree will be inscribed as specified by the donors. 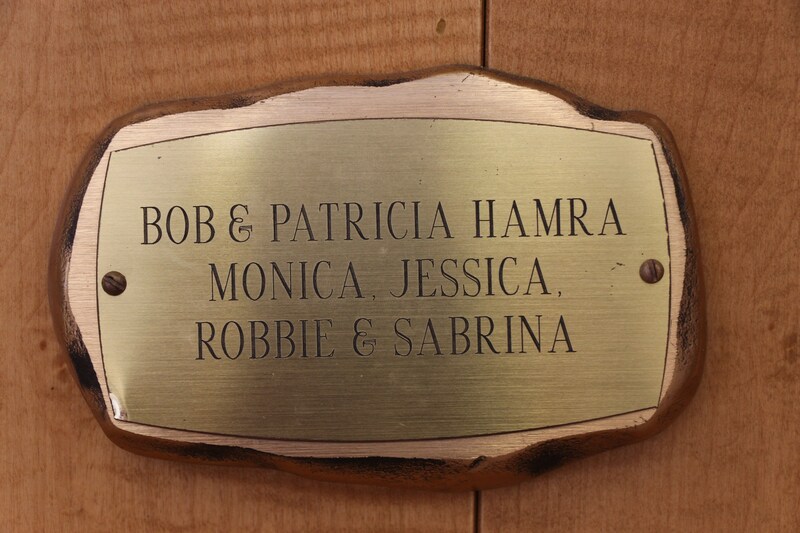 You may choose to designate your gift In Honor or In Memory of a family member or friend. Families of alumni may choose to commemorate their children's or grandchildren's year of graduation. We welcome your support of Catholic education through participation in the Legacy Tree campaign. Your generous contributions nurture the growth and vibrancy of the St. Francis of Assisi School community. 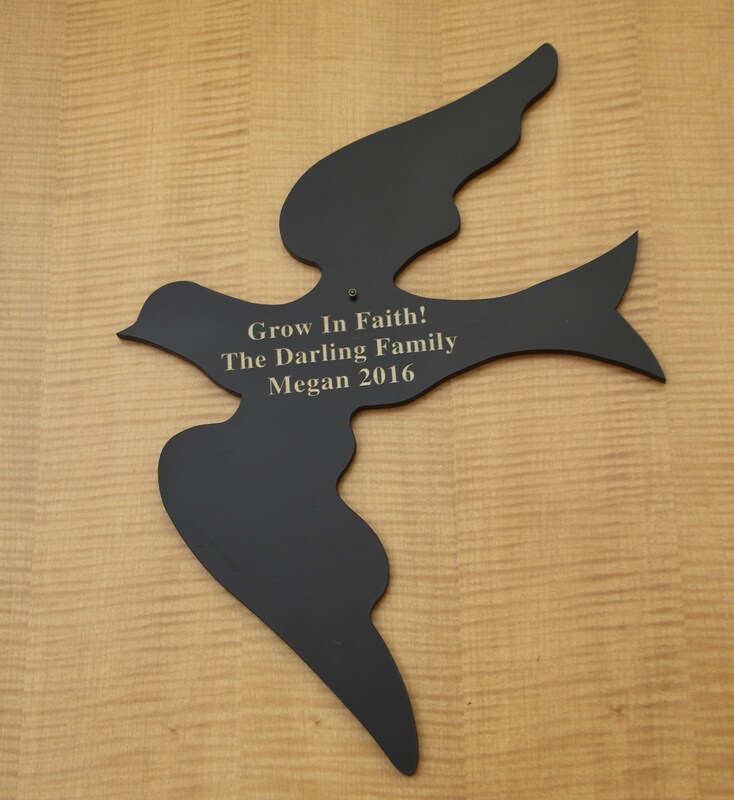 The tree sculpture, bearing the names specified by our donors, represents your family's "living" gift and will be part of the school for many years to come.